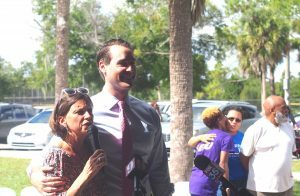 As Democratic lieutenant governor nominee Chris King pushes Andrew Gillum‘s health care proposals while attacking Ron DeSantis for not having one, Republican lieutenant governor nominee Jeanette Núñez is pushing DeSantis’s economics plan while blasting Gillum’s in a DeLand gathering. 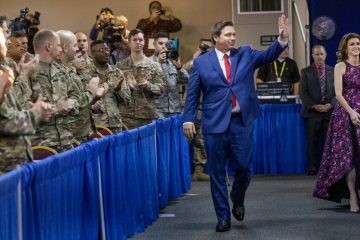 Hurricane Michael has brought out the running mates working doubletime in attack mode, as Democratic guberatorial nominee Gillum took off more than a week to focus on hurricane recovery efforts, and Republican gubernatorial nominee DeSantis turned much of his focus into relief supply drive efforts. If the running mates traditionally play the campaign pitbulls, then King and Núñez are running loose, doing four, five, six or more events a day, mostly in front of relatively small crowds, now and probably through Nov. 5. “Never in the history in the state of Florida has a candidate for governor run on a platform to increase taxes 40 percent. 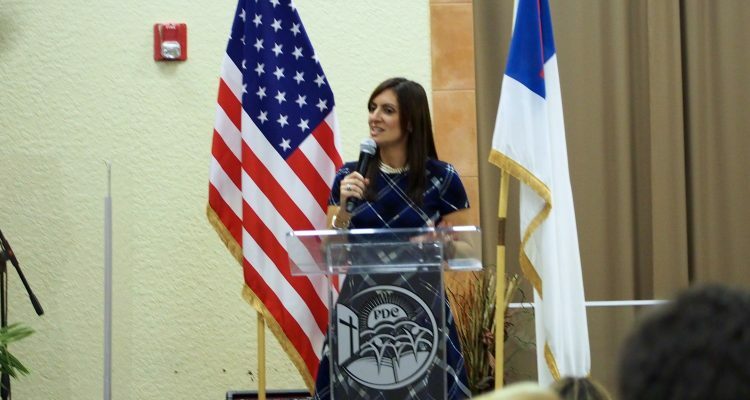 It is mindblowing that we could even consider giving Andrew Gillum our vote when all he wants to do is overburdon us with more taxes,” Núñez said at a small Spanish-language church, Iglesia Puertas Del Cielo, full of energized Republicans in DeLand Wednesday. Núñez has sharpened her slicing and dicing skills through eight years in the Florida House. “His plan would be a disaster for the state of Florida!” she declared. King sharpened his in 18 months in a sometimes nasty Democratic gubernatorial primary. 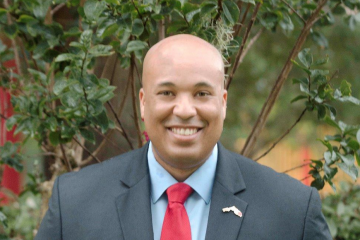 King’s role for the moment may be larger than Nunez’s in the sense that as Gillum has turned full-time to his day job as Tallahassee mayor since Michael devestated the central Panhandle and caused significant damages in the Capital city. That starts cahnging soon: he has a TV appearance set in Jacksonville Thursday, and then a town hall event in Tampa Friday. “Right now the priority for Mayor Gillum is to rebuild the city after a catastrophic storm. That’s where he’s been. He’s doing a fabulous job. But we’ve got 20 days left. This is a historic election. 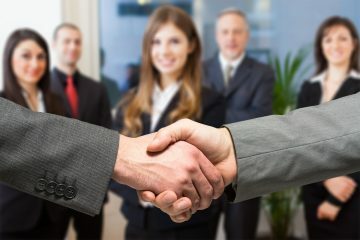 And I’m focused on casting his vision across Florida,” King said. 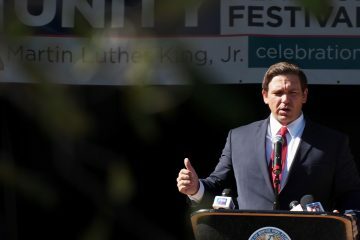 DeSantis has been more active in the days after Michael, appearing at hybrid campaign/hurricane relief drive events; but even in his primary campaign he has never been as publicly active as other candidates.